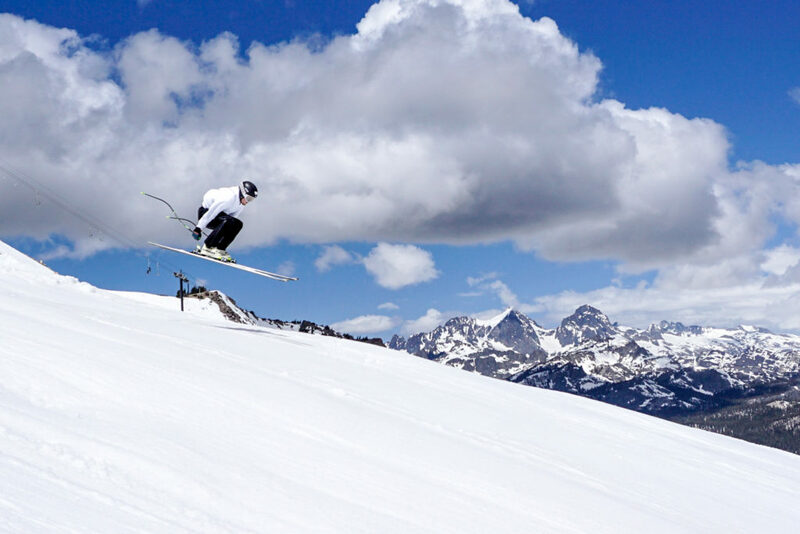 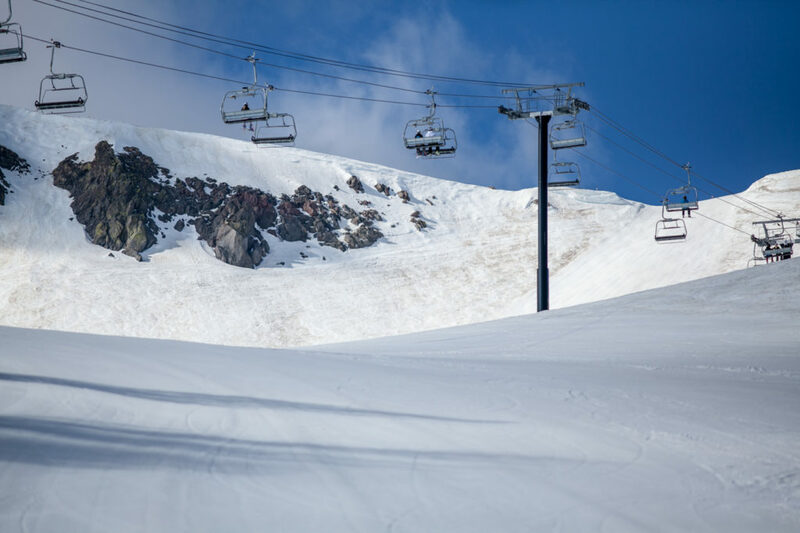 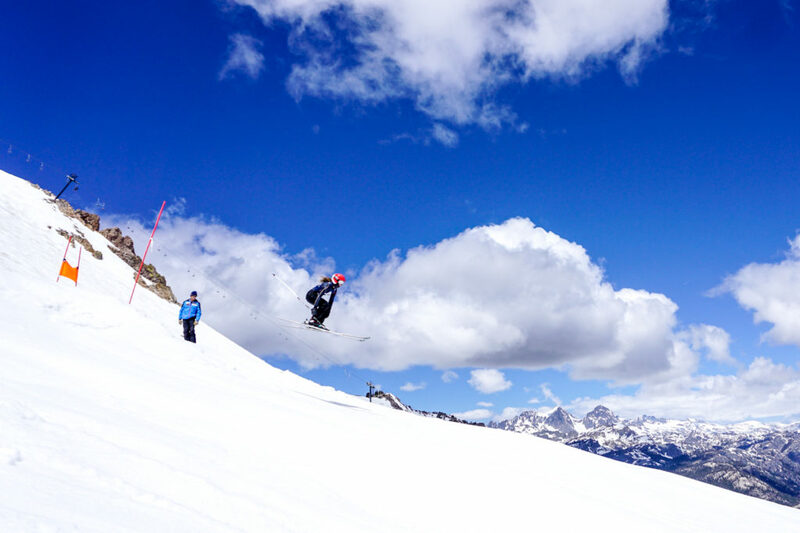 We lucked out once again and had another day of perfect weather at Mammoth. 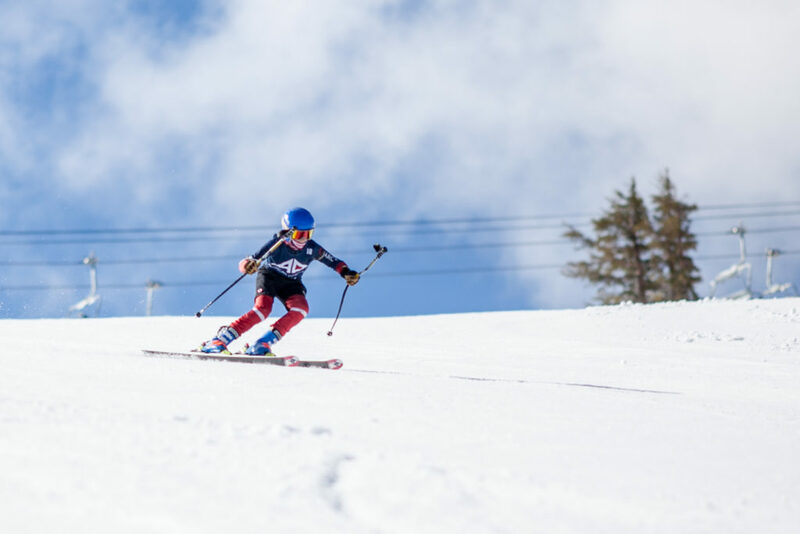 Today the athletes transitioned from GS skis to Super G skis and started the day off with a warmup lead by Olympic Downhiller Wiley Maple. 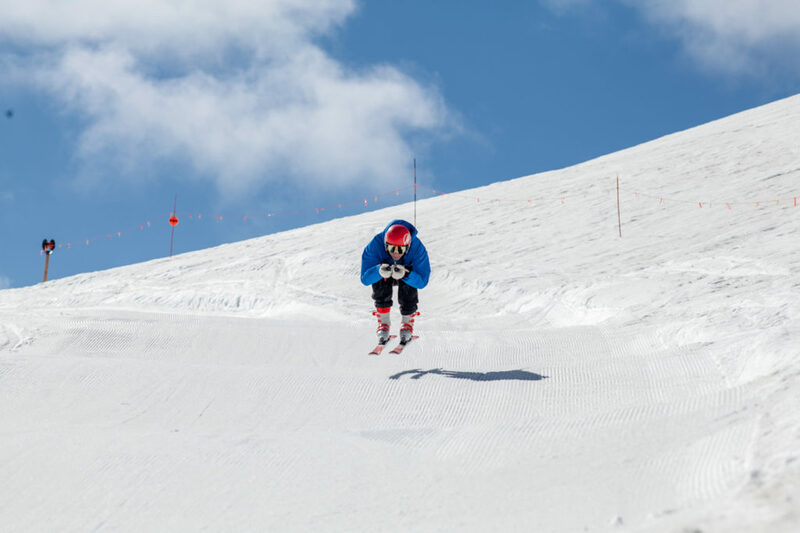 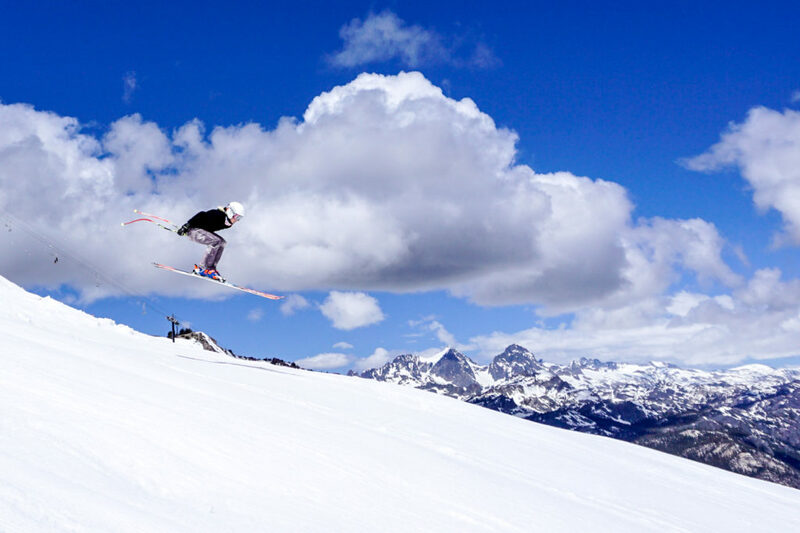 After a few warmup runs getting used to their speed skis, the athletes picked up where they left of yesterday and sectioned the woop-dee-doos (our speed skills terrain garden), then moved to Hare jump to practice their jump skills. 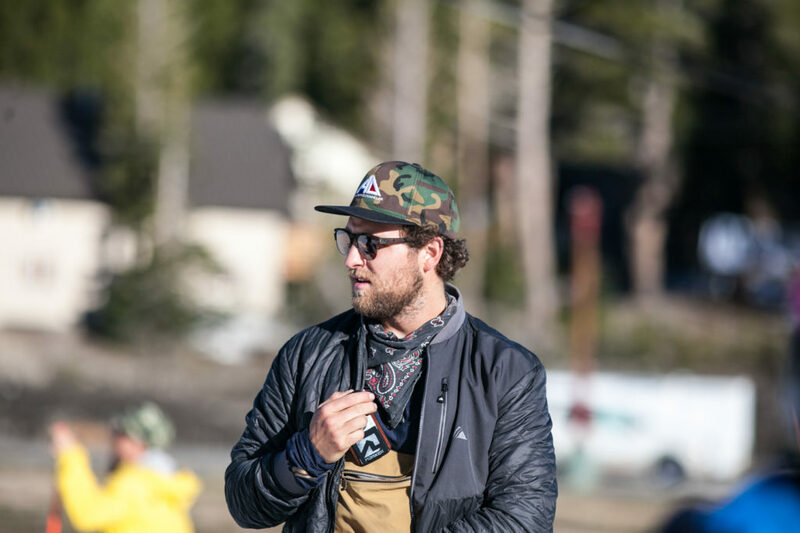 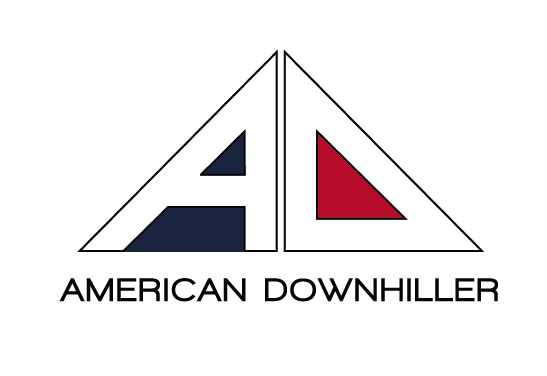 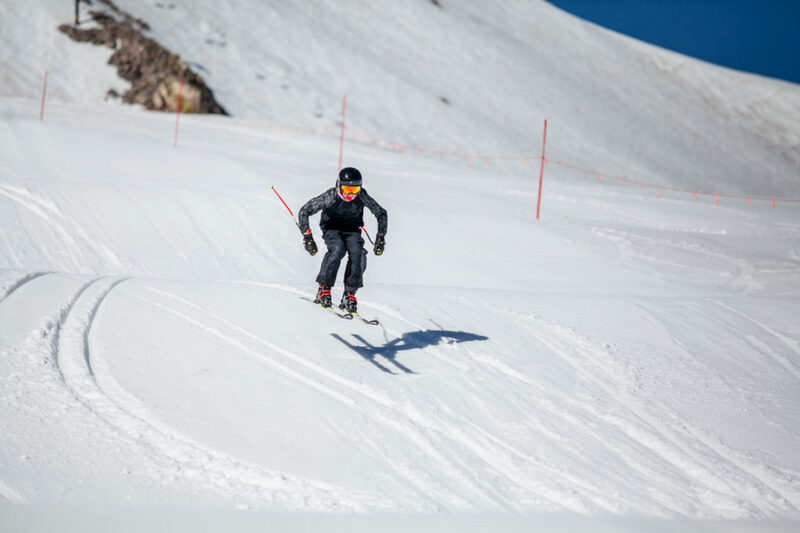 Following Hare jump coach Johno McBride set a brush gate Super G course, a brainchild of American Downhiller, Marco Sullivan. 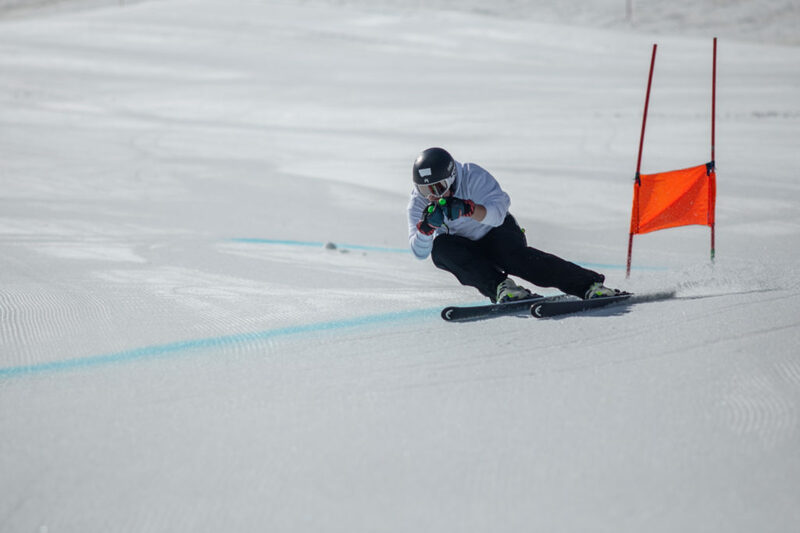 The brush course consisted of two brush gates separated by a dye line the athletes had to jump over. 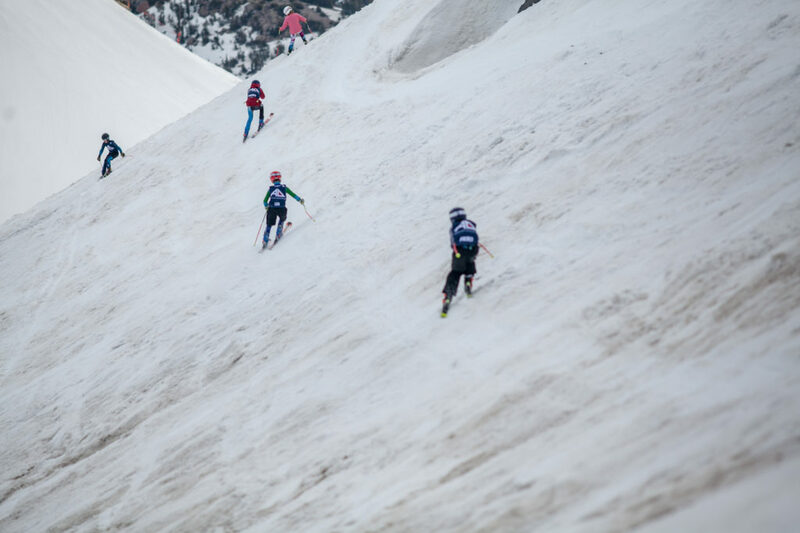 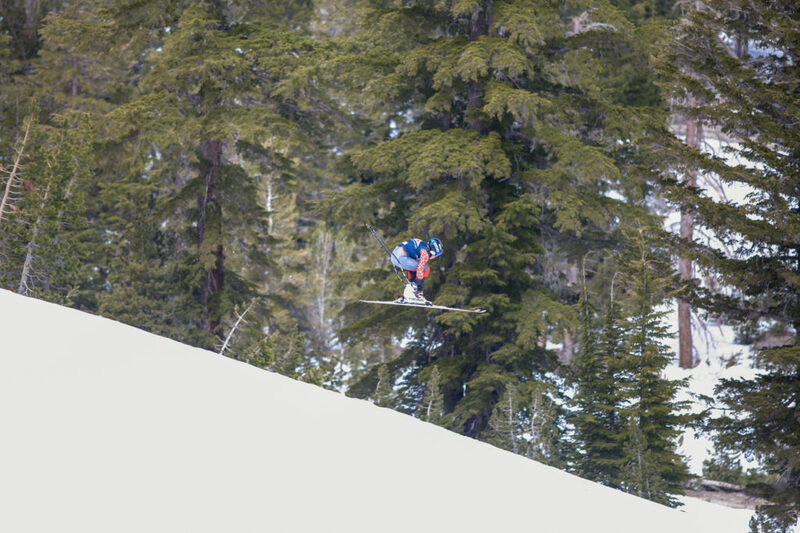 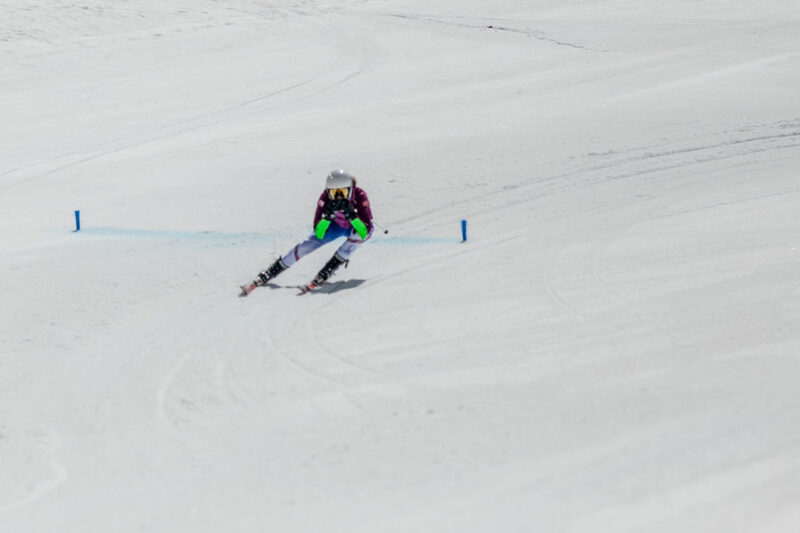 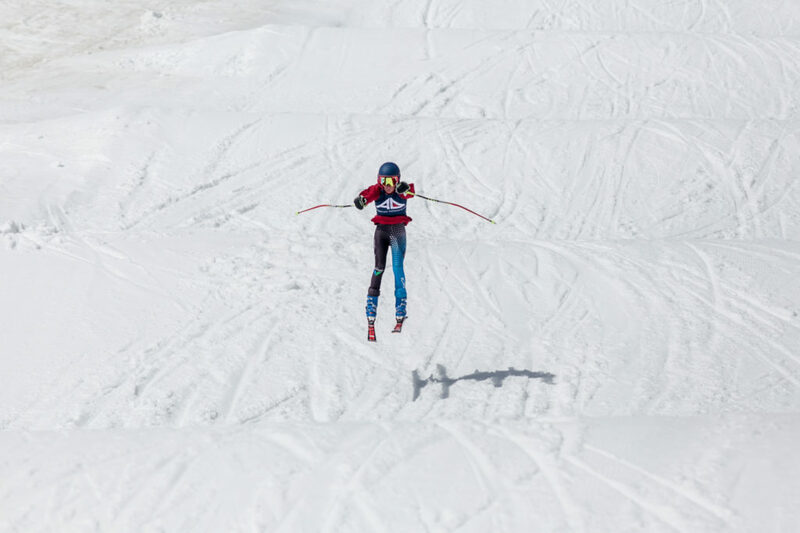 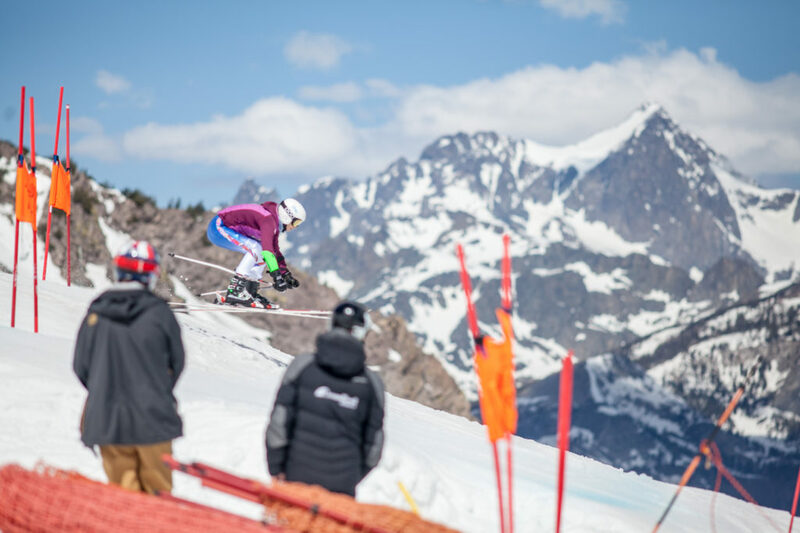 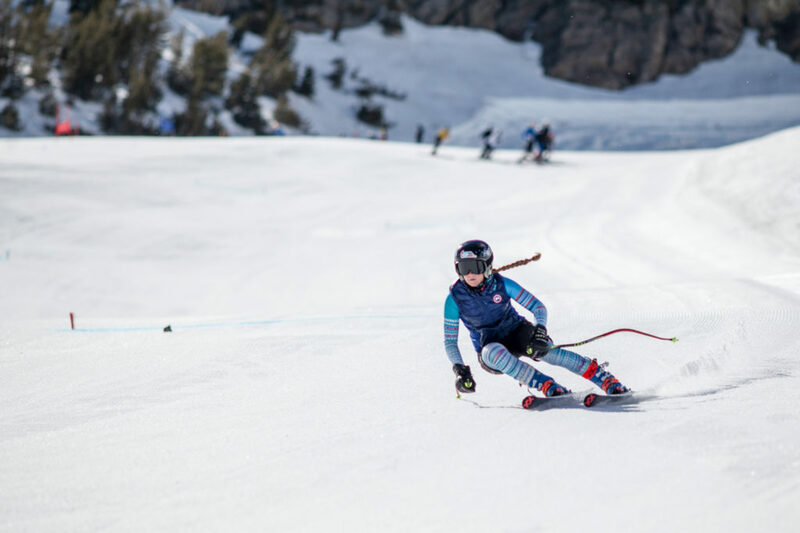 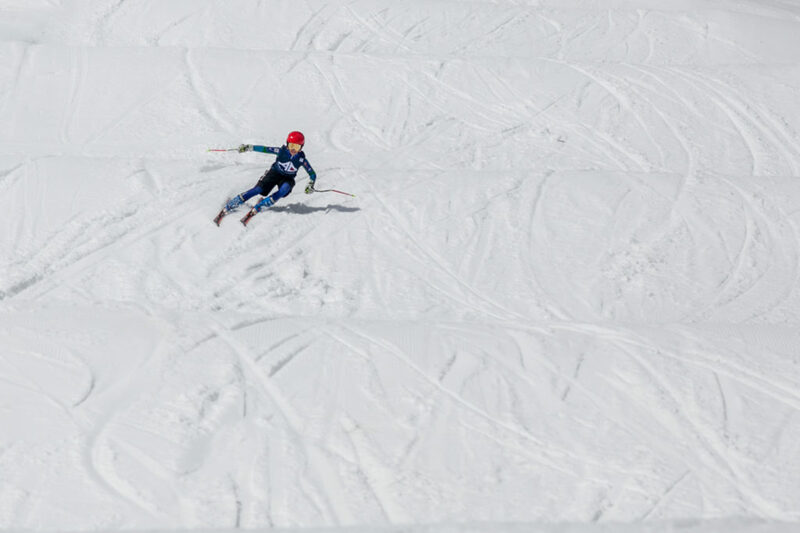 The intention of the drill was to challenge the athletes’ balance in the apex of the turn to encourage them to move forward through the turn and to be more prepared for any terrain features they might come across. 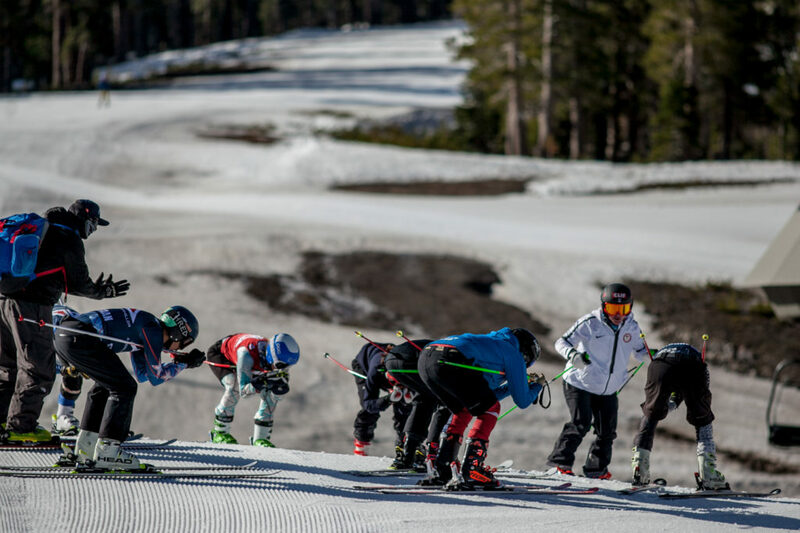 After the brush course the athletes had a nice rhythmic section of Super G to get them up to speed and ready for Day 3!